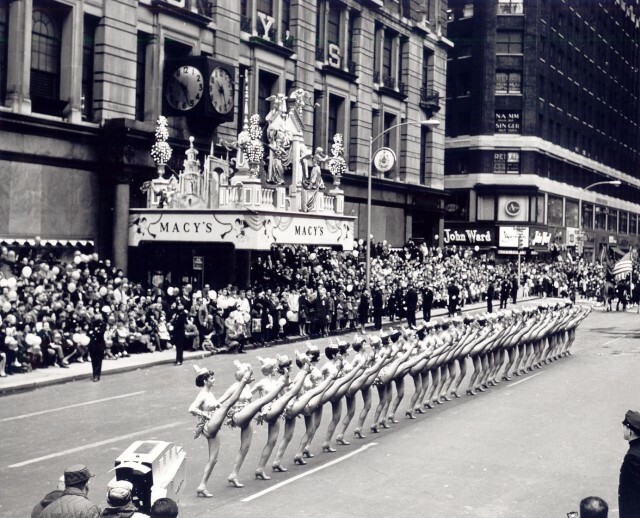 The Radio City Rockettes kick things off at the Macy’s Thanksgiving Day Parade. Image courtesy of Macy’s Inc., Photo Gallery. All of us here at the School of Fashion hope you’re enjoying your holiday off, sleeping late, and eating tons of turkey! In the spirit of Thanksgiving, we’re sharing with you a #TBT from the Macy’s Thanksgiving Day Parade. For FSD, this annual celebration has always signified fabulous costumes, larger than life balloons taking over the streets of New York and…most importantly…that Thanksgiving dinner with family and friends wasn’t far behind. Wishing all of you a very Happy Thanksgiving!